You started your photography business because you love capturing beautiful memories, sharing a story, or delivering great visual content for your audience. Unlike many other industries, photographers are driven by the passion for showcasing their world and sharing with an engaged audience. However, building a photography business depends on your understanding of how to run a business. Your Internet marketing strategy is vital to the longevity of you as a photographer because you need to attract qualified leads who want to purchase your photography services. While talent is crucial, just because you can take the best pictures doesn’t mean much if you are not able to support your passion with the finances you need to expand your influence. Great photographers don’t always make great professional photographers because they lack the understanding of how to build a successful business to support their passion. Even if you are just starting out with your photography business, you should take the time to understand how to protect yourself from liability and proven ways to build a marketing strategy for your photography business. My wife, Ayasha, owns a local Orlando photography business. She is excellent at capturing the inner beauty and confidence of her clients, and she is a highly skilled photographer. Along with understanding her camera, great at interacting with people, and a strong understanding of what makes a great picture, she is also an expert photography marketer. 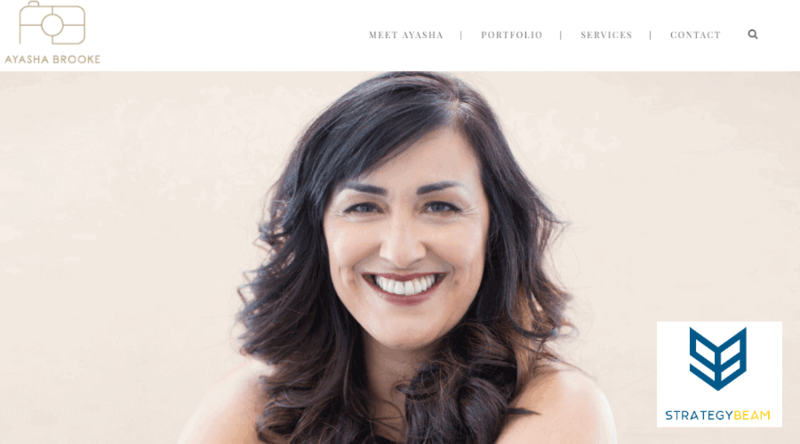 Unlike many people in her field, Ayasha knows how crucial it is to build her photography business around a proven strategy and the best free photography marketing tools. Not only does this approach ensure that she will attract qualified traffic to her site, but through focused marketing campaigns she controls the story of her brand. Whether or not you are a seasoned marketer like Ayasha, the good news is that your photography marketing efforts can be improved by using the right tools. Even better, you don’t have to break the bank to find the best photography marketing tools. 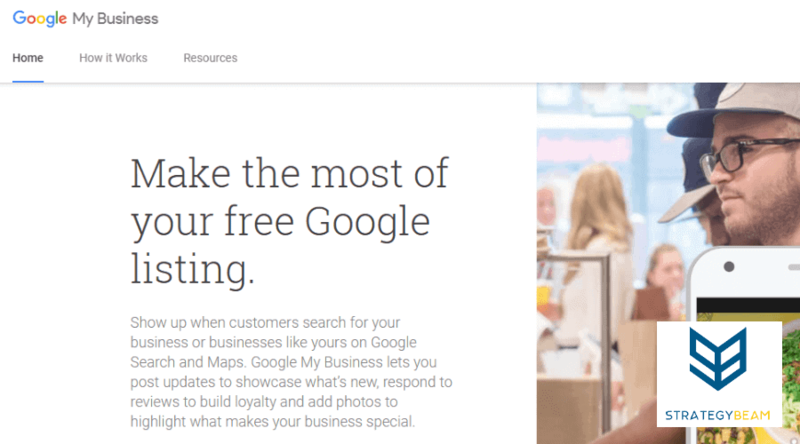 Based on a massive list of over 160+ free small business marketing tools, we have found the best free photography marketing tools that you can use today for your business. 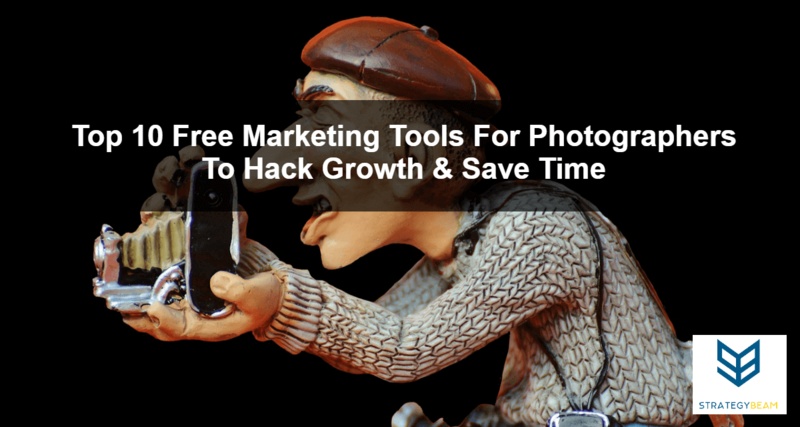 Let’s take a look at the best free marketing photography tools that you can use today to grow your business and reach new customers! First on the list is WordPress, which is a free Content Management System to help you build smart and interactive websites. Nothing is more important for a photography business than a site that is beautiful, smart, and easy to navigate. Many business owners run into one of two problems: either you can’t build the site you want because you can’t code, or your website is limited because many “out of the box” website builders are too essential to handle your needs. WordPress solves both of these problems. With a library of open-source themes, plugins, and widgets, you will be able to showcase your work without needing to write a single line of code. There are thousands of the layout to choose from for free marketing tools for photographers and amazing photography website templates are popular with a robust selection. This means that with a little time and tender love, you will be able to launch a website that meets the needs of your users, displays your photography, and helps you establish your identity online. Even as a photographer you will be writing lots of emails, blog posts, and website content. This means that you need a tool to ensure that your photography marketing content is free from grammatical and spelling errors. Whether you are posting captions on your images, writing Instagram and Facebook posts, or responding to a client email, nothing stands out more than poor spelling and grammar. 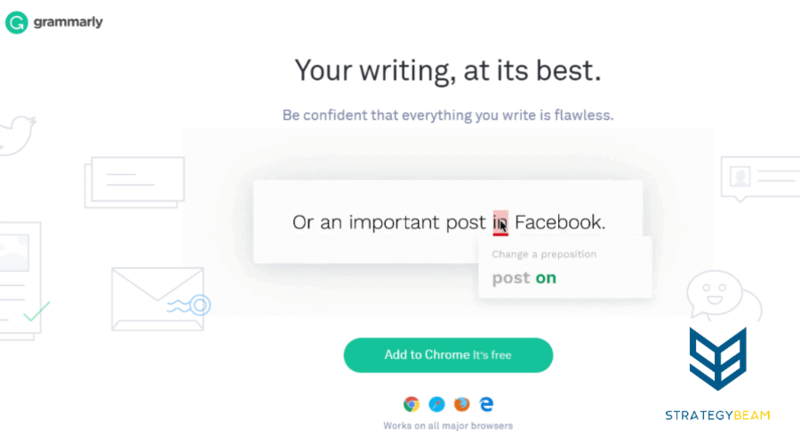 Grammarly is like your private editor but at a fraction of the cost (free!). Think about the content that you are writing and your efforts to market your photography business instead of worrying that you are missing mistakes that will undermine your authority. How you speak and sound online will be more critical as you grow your business. Download the free version of Grammarly to ensure that your business establishes itself as a thought-leader and trusted source by reducing the number of errors in your online content! Since marketing your photography business depends on uploading large, beautiful images to your website, you will need to find a way to optimize your site with each image. Large pictures can slow down your website, and this can negatively impact your website performance and results. Google and other search engines check the speed of a site as they rank your photography website. A slow website will rank low in search results because Google knows that people will not want to interact with a website that takes too long to load. A slow photography website also decreases conversions, since your audience will not wait for your pictures and website to load after click on it. This means that your photography marketing tools need to be based on a holistic marketing strategy that includes a way to optimize each image on your site, especially the large photos that you use to showcase your work. Tiny PNG is the perfect answer for your photography marketing needs because it is convenient and easy to use. 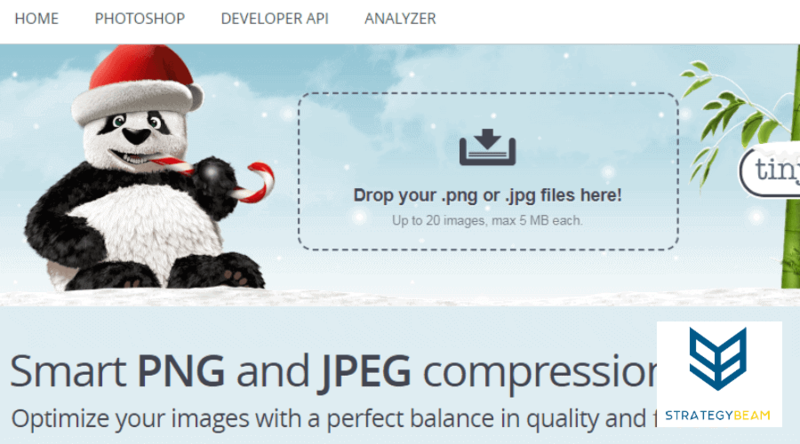 You can easily upload up to 20 images all at once, as long as your pictures are below 5 MB in size. After the compression, you can either download them to your computer or save to your Dropbox account. If you are running your business and you need the best photography marketing tools but on a shoestring budget, then Local SEO is the best way to drive ROI with the least amount of time and money. Plus, photographers need to focus on Local SEO even more than other businesses do because photographers rely on industry within their local community. Google is one of the most popular search engines, and around 70% of online searches happen here– where most of which is about finding a business, service, or product. This is where you can take advantage of Google My Business. Google My Business is the most advanced version of yellow pages we grew to love, and that means a lot of people are using it. When your business is listed Google Maps, together with your exact address and location, your customers can easily find you without the need to go to your website or profile page. Best of all, Google Maps have GPS navigation, making everything more convenient. It’s a service where you can put the physical location of your business in Google Maps, which makes it easier for the customers to track you down. This type of accessibility in Google allows you to market your photography business within a select geographic region and ensure that your photography marketing appears to the right people at the right time! As a photographer you are terrific at capturing beautiful images, but what is the value of those photos if no one can find them and hire you? Photography marketing tools and your marketing strategy needs to be focused on both great producing pictures but also attracting your target audience to increase sales. This is where SEMrush comes in. As one of the most influential SEO tools on the market, you can find what people are searching for and where they are searching from so you can align your photography marketing content with the intent of your customers. You don’t need to spend hundreds of dollars each month on paid advertising or newspaper ads because if you optimize your content for your audience, you will drive qualified traffic. 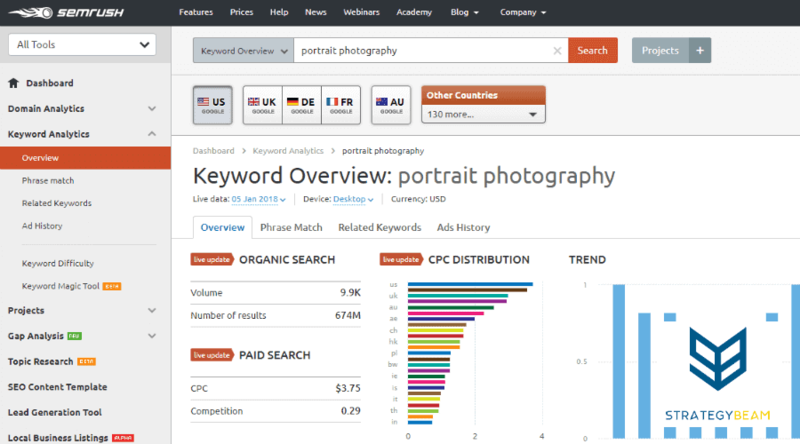 Optimizing content for your target audience is not accessible, but with a free tool like SEMrush, you will be able to bring your photography marketing toolkit to a whole new level. Keep in mind, by making sure that your website or blog is well-optimized, you’ll be able to enjoy more traffic on your site, and SEMrush can guide you through that. Ensure that your services are driving the right audience by optimizing content throughout this free marketing tool for photographers today! If you are just launching your photography business, then you know how important it is to have a clean logo that represents you and your brand. If you are like most photographers, then you are not a graphic designer, and you could struggle to design your logo from scratch. Instead of settling for a boring logo, or wasting time creating your logo, you can design a professional logo for your photography business with Logaster. Whether you have an Instagram and Facebook page or just a website, a professional logo is vital for your photography marketing strategy. Since your photography business relies on visual appeal, you need to base the marketing of your photography business on a great looking logo. 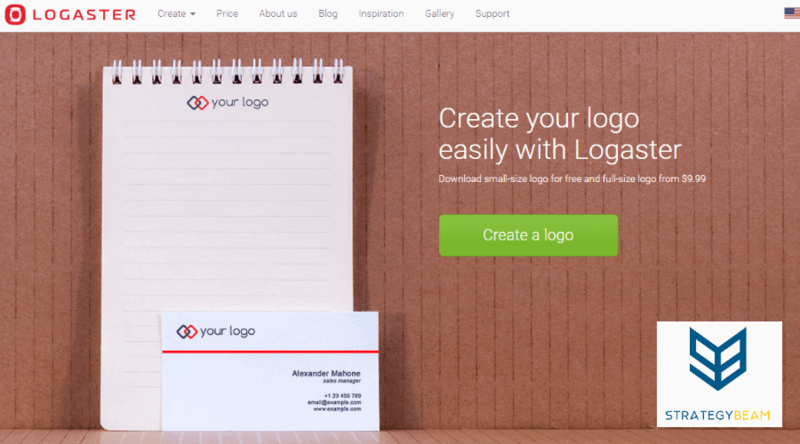 This an online service that allows you to create logos as well as corporate identity elements. Through this, you’ll be able to have a professional design in just a matter of minutes. The process is not rocket science at all. You’ll be able to create one in only a matter of minutes. One of the most overlooked aspects of any business is to ensure that you have reliable legal documentation of agreements and contracts. Many photography business owners leave themselves open to both legal, personal, and business liability if they don’t have proper documentation before you take your first picture. If your business gets sued or loses payment due to a client issue, then you need the help of an amazing free photography marketing tool like Docracy. With this great tool you will have the proper agreements and contracts drafted to protect yourself, your clients, and your photography business. Docracy is an open collection of legal contracts that would allow you to negotiate and sign documents online. Depending on your needs, you can copy and modify these agreements for your use and have your clients sign them electronically. Through the use of Docracy, you can reduce the expenses related to hiring a lawyer and obtaining legal documents. No need to spend a few hundred dollars on an attorney just to ensure your photography contract protects you. The importance of Instagram for your photography business can’t be overlooked. 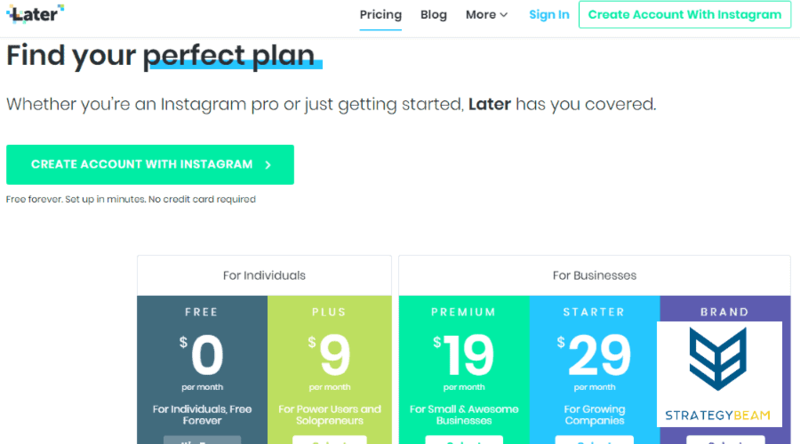 Not only is Instagram the perfect place to showcase your images and draw new customers, but it is also one of the best places to distribute content to fuel your photography social media marketing strategy. The problem that many photographers run into is that Instagram requires you to take a lot of manual actions to post, comment, and schedule content on the social media platform. Instead of focusing on how to manage your Instagram account, you can free up your time to focus on taking amazing photos and engaging with your audience. Late is the perfect social media tool because it helps streamline the tedious aspects of organizing, scheduling, and managing several social media accounts. You can leverage this tool to boost your online engagement and get your photographs seen by more people. You should make Late a core piece of your photography marketing tool set to grow your reach and online visibility! The most effective way to grow your photography business is to meet the real-life needs of your customers. One of the best ways to do this is by sending out surveys to your target audience to learn what their needs, wants, and expectations are when they work with a photographer. You can create excellent products to meet the things that your customers want if you use the right photography marketing tools, like SurveyMonkey. Whether you are just starting out or you are expanding into a new market, you can use SurveyMonkey to reach your business goals. 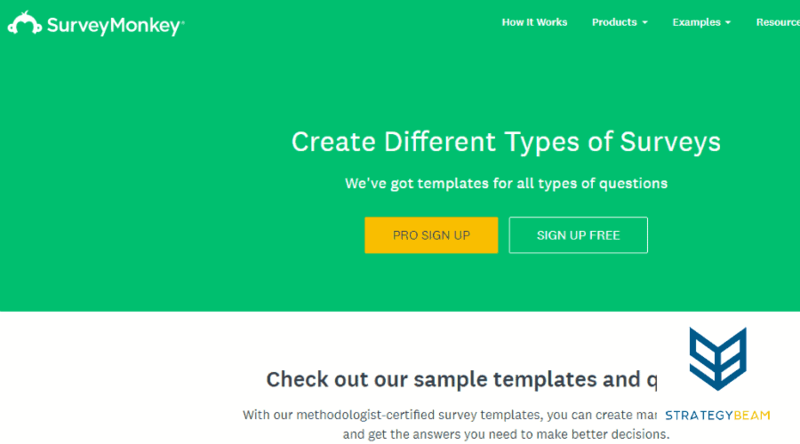 SurveyMonkey is an easy-to-use platform that allows you to create surveys and reach out to your audience quickly and easily. Canva is probably the favorite free photography marketing tools, Canva helps photographers just like you get inspiration and design amazing content for their online presence. 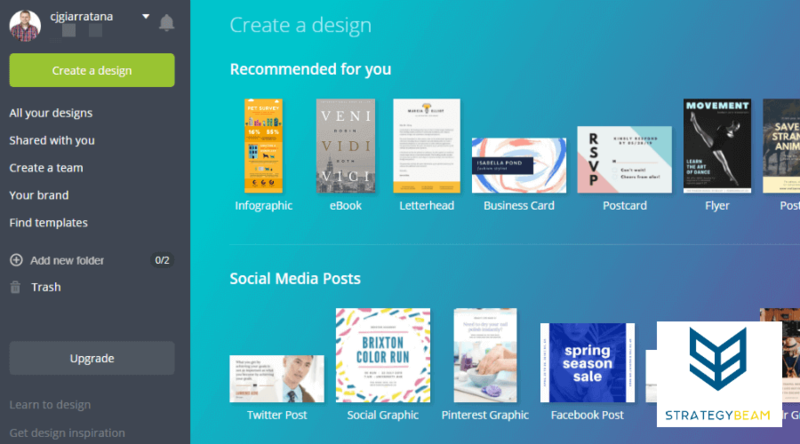 Canva is a free marketing tool for photographers to create infographics and other interactive content, plus Canva is the best free photographer marketing tool to create great looking and perfectly sized posts for social media accounts. However, their most impressive feature would be the design tool where users can create digital image designs using the templates available on the website. There are also free and premium backgrounds, illustrations, and photos to choose from. This means that you can save time and energy by generating content for your blog and website without having to worry about using Photoshop or other design tools. The beautiful thing about Canva is it’s free to use, but if you want to enjoy more features, you can consider getting a premium content where there are a lot of stock image and illustrations to choose from. 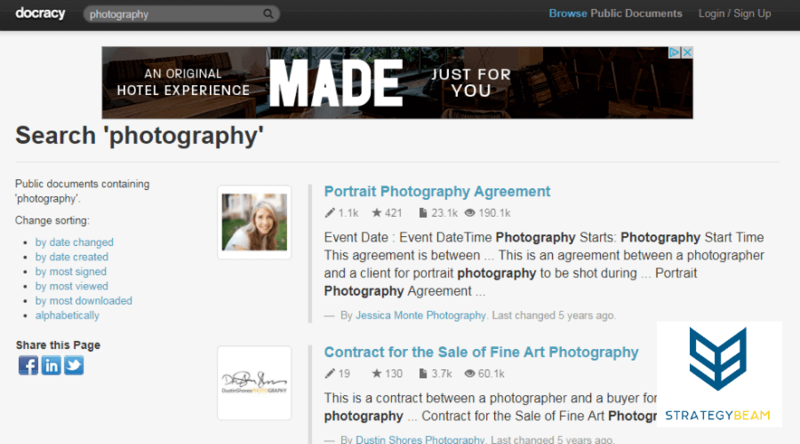 Leveraging The Best Photography Marketing Tools Today! Now that you know what tools are out there to help you grow your photography business, it is time to get started today! Stop accepting mediocre success or wasting time & money with tools that you don’t need. Focus on your clients and taking beautiful pictures, and let these free photography marketing tools help you establish yourself online and grow your business! If you are interested, be sure to check out these other great free online marketing tools for small business owners. They can help save you lots of time and energy as you grow your photography business. Also, if you are ready to take your business to the next level by hiring a professional Internet marketing consultant then simply fill out the form below. It’s time to grow your photography business into the success you deserve!